Are you a Black Friday Shopper? I’m not. Never, ever, ever. Well, there was this one time. ONE and only time. About 9 years ago there was this super big (52 inch) TV at Circuit City. And it was going to be on SUPER DUPER sale on Black Friday. And only at that price until 11am. So what’s a girl to do? I went out on Black Friday. Ugh. It wasn’t completely awful but I never want to do it again. Honestly, too big for the room. 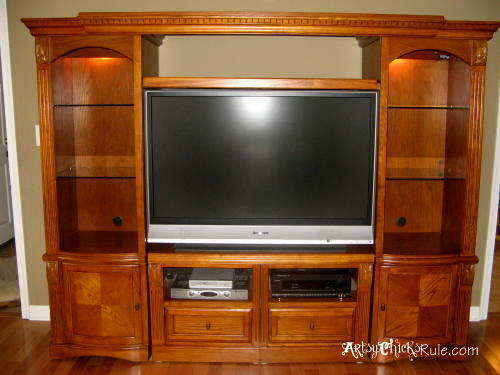 And so was that huge monstrosity (I did love it though) also known as the “entertainment wall unit”. But too big or not, it was what my husband wanted for Christmas so that’s what he got….on Black Friday. Loved it SO much more with the paint job. But it was all still too big for this room. I’d been wanting to remove it all for a few years and put the TV over the fireplace (which is where I am standing to take this picture). And we also wanted to get a new TV too. The picture on this one was not so great anymore. Plus, it was not flat on the back. So we finally did it. Yay!!! New TV, electricians called (yes, we DIY basically everything, even electrical but this was not one we wanted to tackle) to wire over the brick fireplace and install new outlets, etc. But first, let me show you a fun “before” of the fireplace where the TV is going. And the very plain mantel. MUCH brighter. New carpet and you can see I have begun painting the brick of the fireplace there. 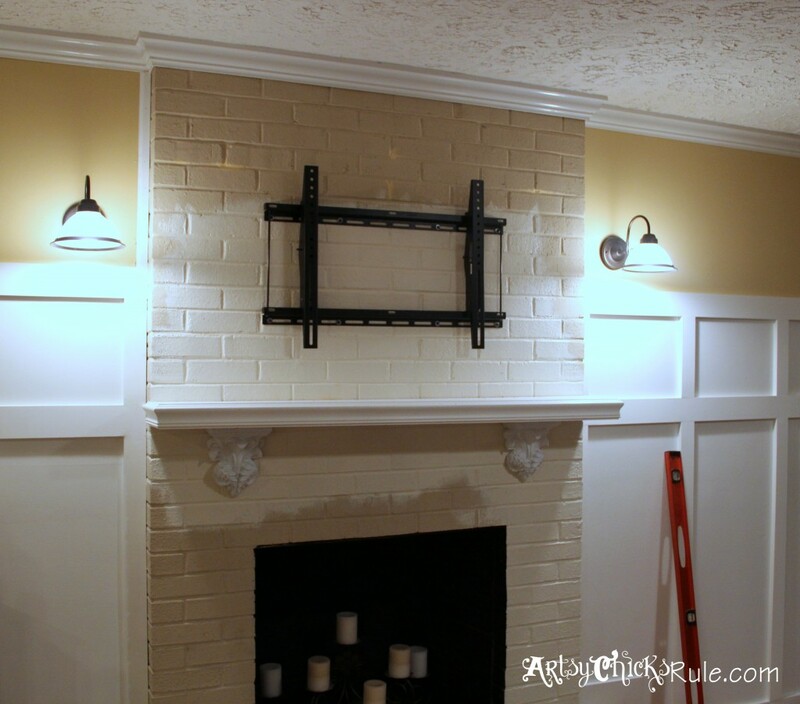 If you take a look at the before picture you’ll see the 2 outlets in the paneling on either side of the upper fireplace. Why?? Well, anyway, it made wiring for lights so much easier. We removed the outlets and put in those brushed nickel lights on each side. And a few years later on….several wall colors later (probably 3!) ….. Yes, that is the same coffee table as in the other pictures. 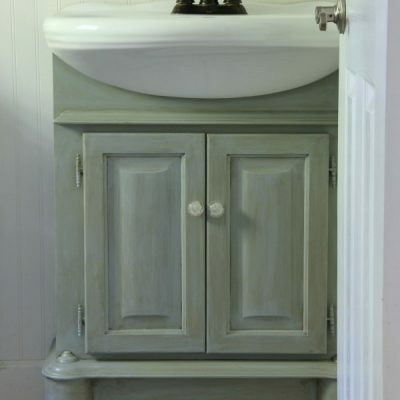 I used Minwax Polyshades on the top to darken it to a Walnut shade. You can read about that in this post –> here. 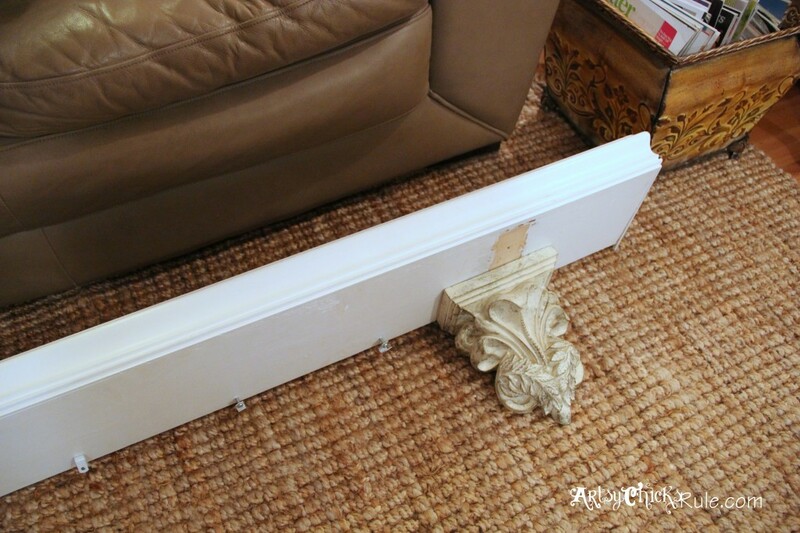 We replaced the “corbels” on the mantel …or whatever you’d call those. 1970’s special is what I’d call them. Or just very “rustic”. I found these at the thrift store (surprise!)…. We were removing the mantel to lower it a bit to accommodate the new TV, so my husband removed the old corbels and put these on instead. 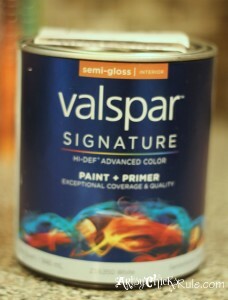 I painted the mantel with this…. So back to the TV. The new paint color on the brick is Sherwin Williams, Navajo White – SW-6126. The old color was …beige. I have no idea what shade at this point. It’s been almost 10 years since I painted it the first time. But I LOVE the Navajo White. It’s also on the walls in my Study. You’ll see that room soon. 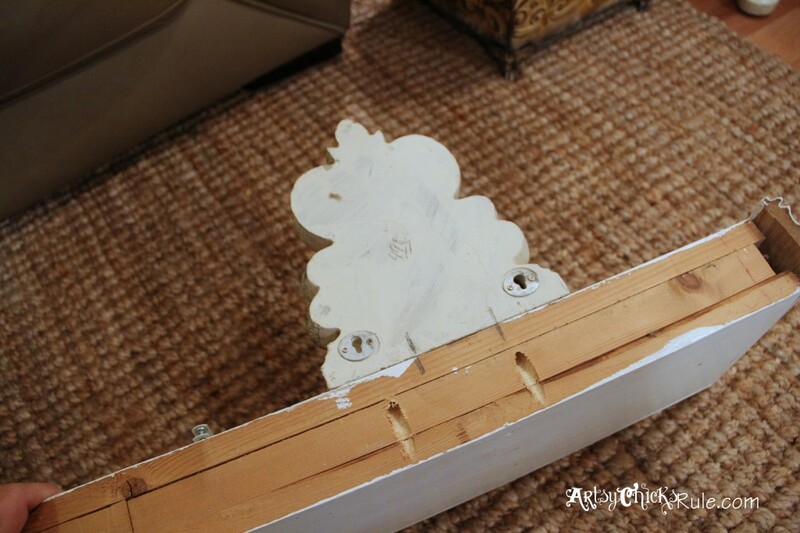 The only problem is…..the house is not level. 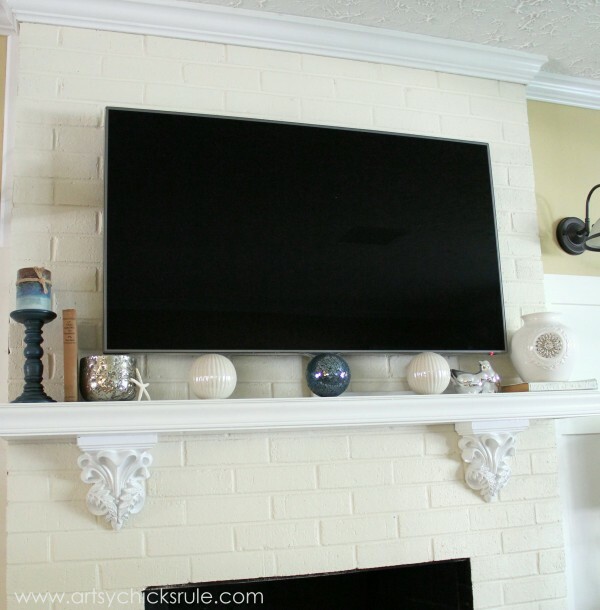 So yes, the TV and mantel were level….but crooked. We should know better at this point. I NEVER use a level and am almost always level to the eye. Drives my husband crazy. He’s a ‘level’ kind of guy. And of course I am the one who noticed it was not level. After the TV was up and all done. Yep. But no worries, all non level now….but straight. And as you know, we now have board and batten…and hard wood floors in this room. We ripped out the carpet we put in after a few years and installed this wood we got from Lumber Liquidators about 5 years ago. An entirely different room. From when we started….and since we’ve moved the TV over the fireplace and freed up all that space. So, so happy with all the space. And the new TV….brought to you ON Black Friday, but not bought on Black Friday …this time. Just wait til you see the rest! Before and After photos have always been a favorite of mine. I hope you enjoyed a little sneak peek of ours and this room. 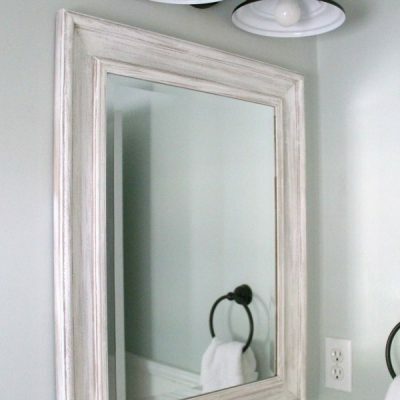 PIN this room makeover to save for later! Oh my gosh Nancy! 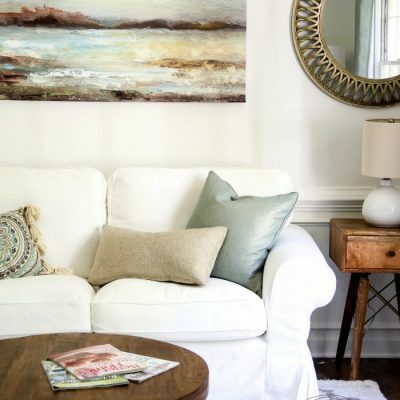 I love, love, love our family room makeover! 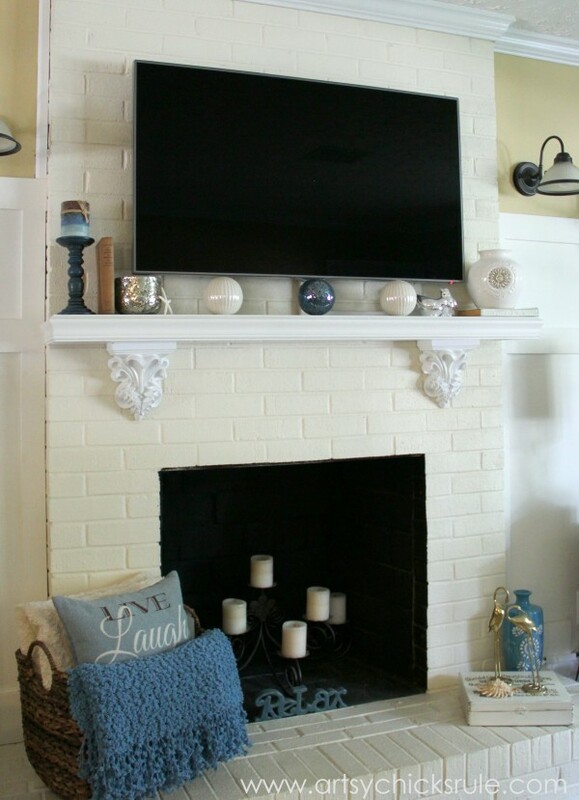 All of it; the board & batten, flooring, wall color and of course, the TV over the fireplace. Very Nice! I’m sure the hubs loves it too! Thanks so much Therese! :) It’s amazing the difference in here! We do love it!! Hope you had a great Thanksgiving friend!! Hi Nancy: It’s me again! I promise I’m not stalking you!!! 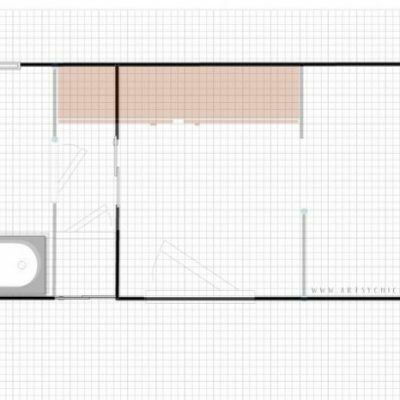 It is so funny cause your before shot looks like our before with the exception our brick covered 3/4’s of the wall and odd sized spaces were left on either side of the monstroscity. (I don’t know if I spelled that correctly) I have painted the brick about 3-4 times so far but it is still an eyesore. 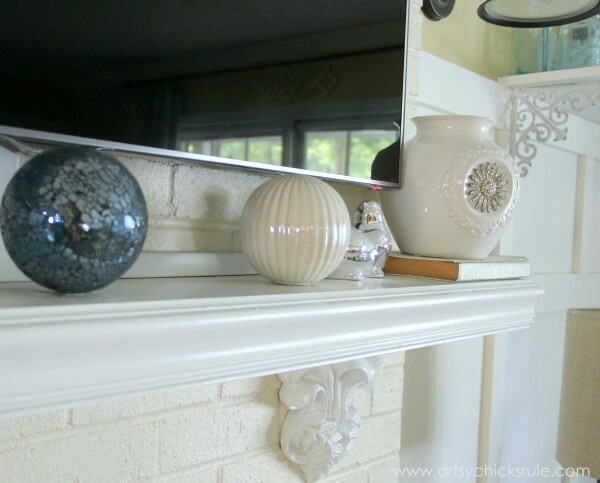 It is so funny/ironic that you used the corbels to support the mantel cause that is exactly what I want to do with the ones I picked up about a year ago – also my living room is painted the same colors! !- We were originally going to build built in bookcases on either side of the brick wall but have decided to cover the whole wall in wide plank wainscotting. We were supposed to start 15 years ago!!!!!!! hahahahahaha! That’s what happens with a house full of kids and now 3 in college!! However, to answer your question about black Friday shoppers, I am debating on going out to Michael’s/Joannes for a sissix machine or just purchase on line – do you own a die cutting/embossing machine? If so which brand and do you like it? I’m trying to get the most bang for my buck – my daughter makes cards and such and I just wanted to create some of the things I’m seeing in blog world. Love it! It looks so good white! 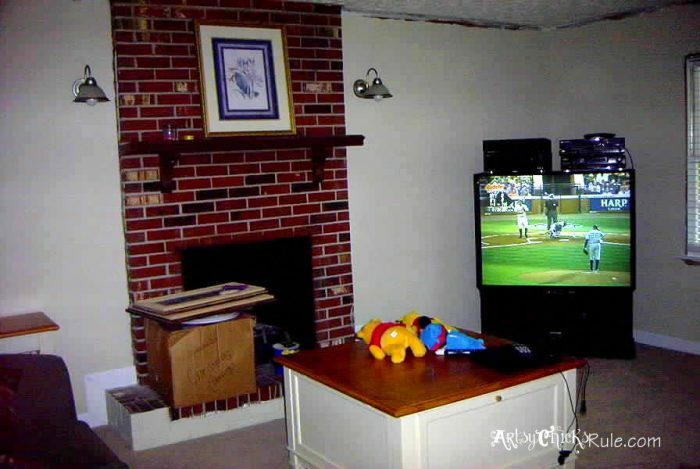 Nancy, the TV looks wonderful above the fireplace! You must be so excited to have that all done! I know you were wanting to open up that room, so I am anxious to see what you do with it all! Something fantastic, I’m sure! Thanks Karen!! :) I am! lol So very!! It looks absolutely incredible Nancy! 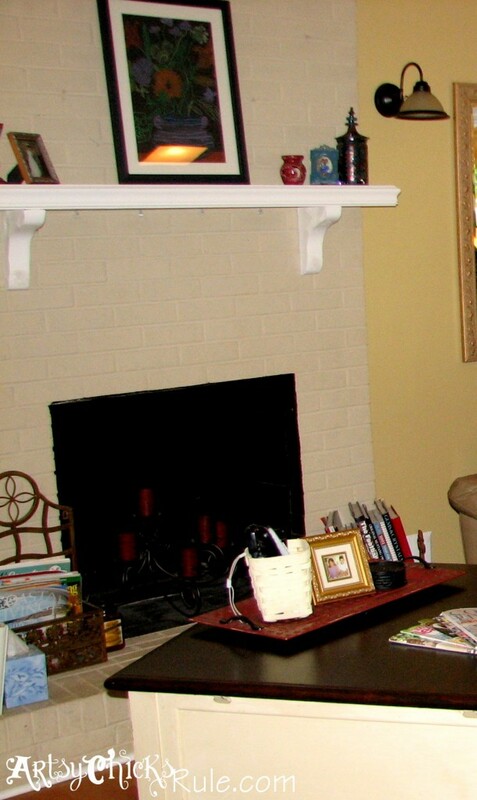 ILOVE the board and batten and white fireplace and the corbels are so pretty. What an awesome transformation! Perfection! Colors, details, everything! Funny thing, I’ve updated almost every room in our house (built in 1970) except the bathroom too! Still have the original hideous “harvest gold” bathtub with the cheapo fake plastic supposed to look like marble shower surround! The other fixtures have been replaced along with the old peel & stick vinyl flooring tiles but I have too keep the shower curtain pulled at all times to hide the monstrous eye sore that is our tub. Your blog is so inspiring. Even tho this feature isn’t about the bathroom, I’m feeling even more motivated to make changes. Re: Black Friday shopping, I did go out this morning (second time ever in my life) but didn’t leave the house until around 9:30, in no real rush, went one place, Home Depot, bought one thing, an absolutely adorable train to put under my Christmas tree! I’ve always wanted one and figure that the grandkids will have fun with it during the holidays. I’m done now, gonna have a turkey sandwich and plan my next remodel! Keep up the good work and thanks again for sharing your lovely home with all of us! Oh the train…how fun! We have one and did it for a few years when my children were young. 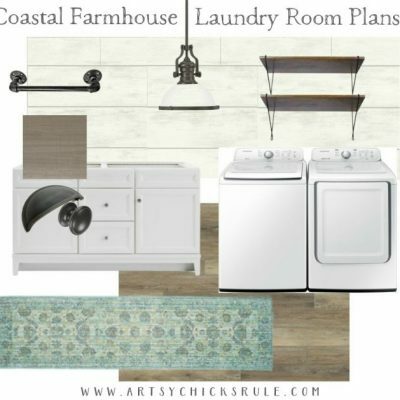 I’m always planning my next remodel…;)…much to my husband’s dismay I am sure! 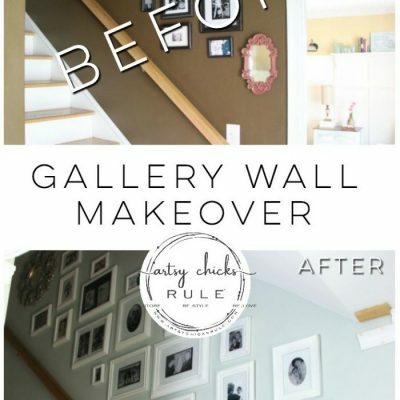 That is a stunning makeover! I love the new look. Isn’t it amazing what a dash of light and bright can do? Thanks Gloria! :) Oh it most definitely is amazing what it can do!!! So very much. I am the same way with the level thing…drives my husband crazy that my eye is so right on….and he LOVES his trusty level. haha :) Men are so funny. I love this! 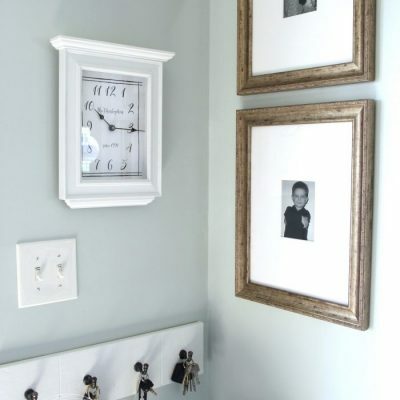 It is inspiring to me to try and get this done to my dark wood trim and wood fireplace and mantle. I have a question??? Where are the cables and wires? 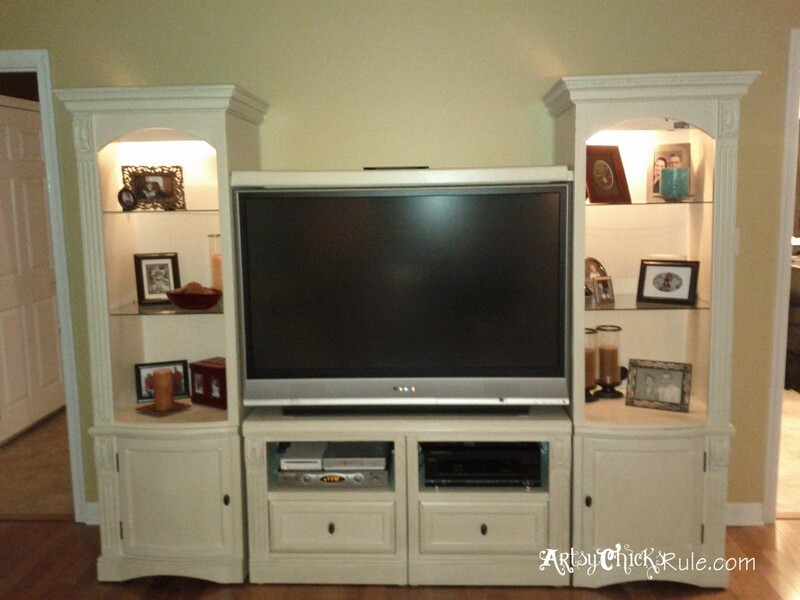 Do you have a cable box or a dvd player or receiver with speakers attached to the tv? Just curious how you did it….. It all looks wonderful!!! Thanks Catherine!! :) Oh they are hidden pretty well I think. 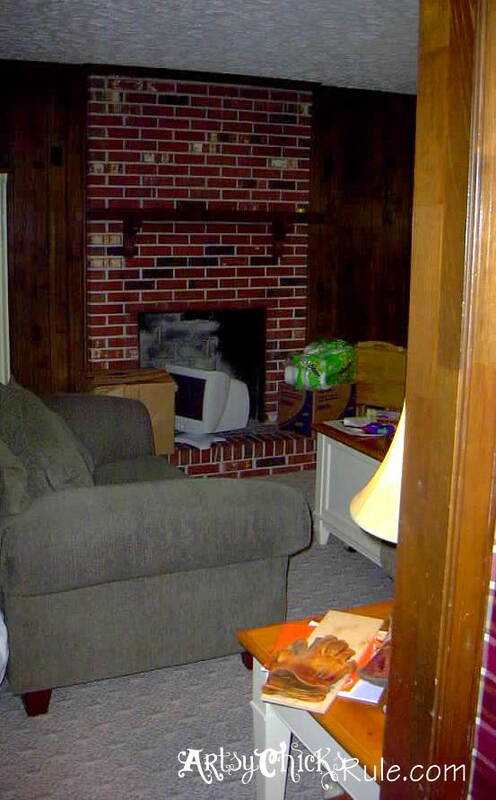 ;) They are actually “hidden” inside of white tubing that goes down the front of the brick, just under the TV, and then along the top of the mantle and down the side of the brick by the wall. We have white trim there so it blends right in! I am so very happy with how that turned out…I was a bit worried it would be an eyesore. Not at all!! Lovely! The white brick is so much “cleaner” and up-to-date. 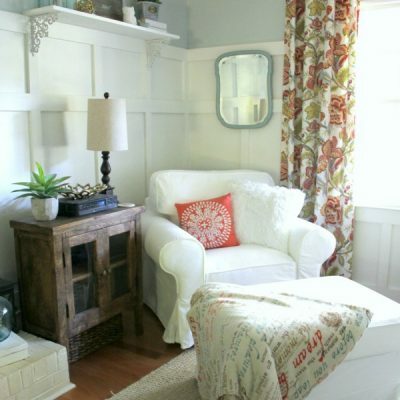 Love your wainscotting and the wood floor looks so nice. And it is a nice location for the TV as well. Well done…lovely room. Your tv looks great! Where did you put your cable box? I can’t find a good place to put mine and my fireplace looks just like yours!